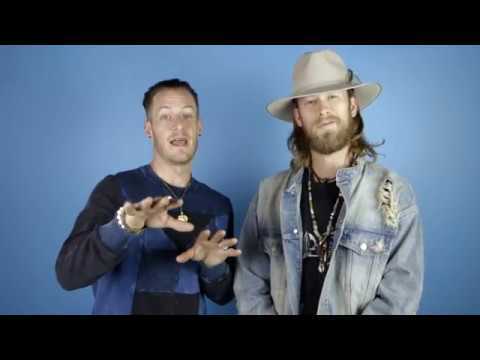 Florida Georgia Line is an American country duo consisting of vocalists Brian Kelley (from Ormond Beach, Florida) and Tyler Hubbard (from Monroe, Georgia). They have achieved major success since their inception and are one of the most successful country music acts of the 2010s. The young band quickly emerged after several years starting their careers by making covers. Their music has been tagged as bro-country, transitioning from the traditional country feel to their hybrid sounds and their lyrical focus about backroads, girls, drinking and trucks. Their 2012 single "Cruise" is the best-selling digital country song of all time in the United States as of January 2014. It is the only country song to ever receive the Diamond Award - over 10 million copies sold. Florida Georgia Line was formed in 2010 in Nashville, Tennessee. Their second EP, It'z Just What We Do, charted on the Billboard Top Country Albums chart. They played on the 2012 Country Throwdown Tour, along with acts such as Josh Thompson, Corey Smith, Gary Allan, Justin Moore, and Rodney Atkins. They have also opened for Luke Bryan, Brantley Gilbert, Jake Owen, Jason Aldean, Colt Ford, and Dierks Bentley. This year’s Billboard Music Awards featured an unexpected pairing of John Legend and the country-pop hitmakers Florida Georgia Line, who teamed up to perform a medley of the former’s “Surefire” and the latter’s “H.O.L.Y.” Watch the performance below. Florida Georgia Line - ACMs Weekend Highlights (with Backstreet Boys) A weekend we'll never forget!! New album, Dig Your Roots - http://smarturl.it/DigYourRoots Tour - http://smarturl.it/fgltourdates FGL Lifers Fan Club - http://www.flagalifers.com Website - http://floridageorgialine.com Instagram - https://www.instag"
Florida Georgia Line - Dig Your Roots Tour 2017 - Week 6 Highlights Ya boys are ready to rock Vegas this weekend at the ACM Awards! S/O to Advance Auto Parts & Old Camp Whiskey! New album, Dig Your Roots - http://smarturl.it/DigYourRoots Tour - http://smarturl.it/fgltourdates FGL Lifers Fan Club - http://www.flagal"
Florida Georgia Line - FGL Lifers Fan Club Sign up for FGL Lifers Fan Club and get access to presale tickets before anyone else! 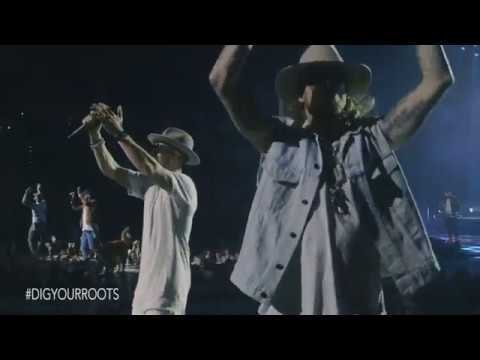 http://bit.ly/2mlYYm1 New album, Dig Your Roots - http://smarturl.it/DigYourRoots Tour - http://smarturl.it/fgltourdates FGL Lifers Fan Club - http://www.flagalife"
Florida Georgia Line - Dig Your Roots Tour 2017 - Highlights Week 5 New album, Dig Your Roots - http://smarturl.it/DigYourRoots Tour - http://smarturl.it/fgltourdates FGL Lifers Fan Club - http://www.flagalifers.com Website - http://floridageorgialine.com Instagram - https://www.instagram.com/flagaline Facebook - htt"
Florida Georgia Line - Smooth Stadium Tour 2017 - Backstreet Boys, Nelly, Chris Lane Smoothing things over before the Smooth Stadium Tour this summer! Get tickets on March 24! New album, Dig Your Roots - http://smarturl.it/DigYourRoots Tour - http://smarturl.it/fgltourdates FGL Lifers Fan Club - http://www.flagalifers.com Website -"